Everyone knows the hazards of smoking. However, that does not really make it any easier to quit smoking cigarettes. But these tips can help. It can be very difficult to quit the habit, whether you are a teenage smoker, a chain smoker, or you have been smoking your entire life. The good news is that you can quit smoking naturally regardless of how long you’ve been smoking cigarettes. Nicotine, which is the addictive substance among the 4000 chemicals inside a cigarette, creates an addiction and subsequent cravings for nicotine. Quitting smoking brings numerous health benefits. When smokers light up, they feel a sense of euphoria and stress relief because they satisfied their cravings. Moreover, if you want to be successful in your fight against smoking, you will need to cope with the symptoms of withdrawal that come after quitting and that last no more than three weeks. 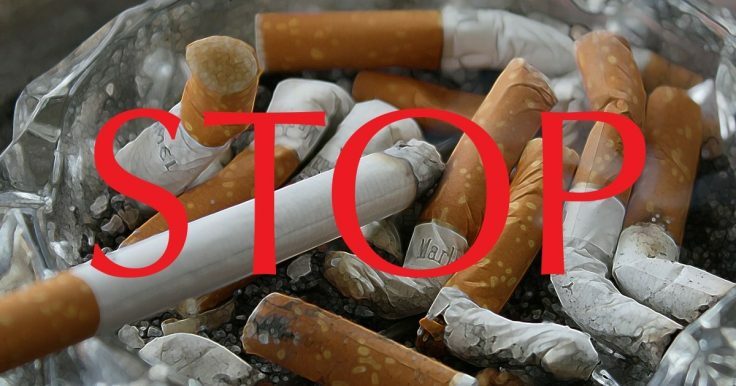 Quitting smoking naturally is not just about changing one’s behavior, but also about finding a solution to overcome excessive mood swings until the body is healed and has adjusted without the nicotine drug. Following the right plan, being positive and eager towards changing your habit for the better and remembering that if you keep trying you will eventually succeed, will help you kick it out of your system for good. While many people are able to defeat the addiction by just having strong willpower, this is not the case for many others. Most people require a customized plan and systematic tips to keep themselves on track. A good plan includes both a short-term challenge to quit smoking cigarettes and a long-term solution to the challenges of relapse. All plans should be formulated according to every individual’s needs and requirements. Why Is It So Difficult To Quit Cigarettes? The smoking addiction comes under three categories. It can be either a physical addiction, a psychological habit, or a combination of both. Nicotine can be very addictive, giving temporary euphoria that is followed by cravings and irritation. Once the nicotine has started to be eliminated from your body, you will have a longer withdrawal state and cravings. They are usually physical more than psychological. Many people who are going through troubles in life, they smoke cigarettes to cope with the stress. In fact, many people smoke to cope with stress, anxiety, depression, and sometimes boredom from their lives. Once this habit is eliminated, you can live a healthier life and cope with these natural feelings in a positive way. Smoking is also instilled in people’s minds as a daily ritual and it is a routine. Some people smoke most of their cigarettes involuntarily and automatically. For instance, the evening coffee might seem incomplete without a cigarette or taking a break from the daily hectic work schedules is often accompanied by smoking. Whereas sometimes, you light up among your peers and family members. In order to combat the habit of smoking, it is necessary to know and evaluate the addiction as well as the routines that come with it. Smoking hijacks the brain, but fortunately, it can be eradicated for good. All you need is the right support, the right plans, and the right tips. Here are a few of them, which will help even if you have tried to quit smoking cigarettes multiple times before. You need to make no smoking areas in your house. Especially the living room, dining room, and bedroom that are the areas where you spend most of your time every day. Ask your other half or family member to smoke in specific areas of the house. It is advisable to ask them to do so in the front yard or backyard, to prevent the smoke from contaminating the house. This step would benefit both of you by keeping the house smoke free. Just when you will quit smoking, you will get all kinds of negative thoughts. You may even feel unsupported if a loved one smokes while you are trying to quit. It is okay to feel that way. To overcome any feelings of jealousy you need to change the way you think about smoking and doing so will make it easier to be around smokers without feeling tempted. Tell yourself that others smoke because they are addicted to it not because it’s a great thing to do. Their life is being played with by something as small and useless as nicotine, while you are free to do whatever you want. Always remember that if you are asking for your partner’s support, it does not mean that you want them to quit smoking cigarettes with you. Just ask them to support you in your fight against cigarette smoking. Specifically, ask them to be understanding for the first few weeks, plan fun activities in non-smoking places with you, and also, to not offer you a smoke. There are also a lot more tips, strategies, and support centers that help quit smoking cigarettes for good. Just give a quick search and you’ll find tons of them. But not all work. Instead, focus on these three tips and try to implement them into your day-to-day schedule. You’ll be surprised by the power of these simple tips to quit smoking if they’re followed precisely.